I have a friend who has been going through quite a trying time for about a year or so. It seems like it is one thing after the other whether it is her or she is bearing the burden of someone else's problems. Through it all her smile never wavers and her loving giving spirit never fades. She has definitely learned to dance in the rain. 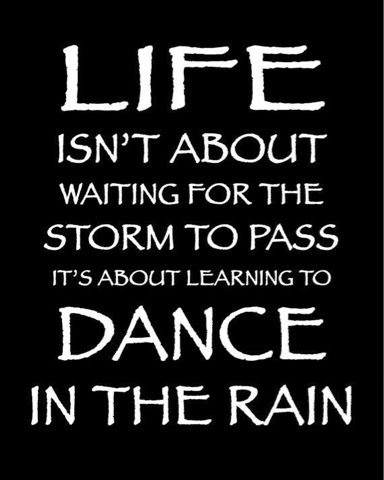 I am dancing on this rainy Monday! Are you?